Most of us are unaware that our bodies contain four times as much lymph fluid as blood. However our lymphatic system, which is also our immune system, does not have a pump, like the heart, to keep its liquid in motion. It depends on our natural movements for circulation! If we don't move enough, excess levels of toxin actually clutters our lymphatic system and "poisons" our cells. In some places the lymph fluid actually crystallizes into cellulite, which many of us know is hard to eliminate. Rebound exercise has been found to be the most effective way to "re-prime the pump" and keep it going, due to the up & down swinging in a low impact environment, like with Kangoo Jumps. Your daily gentle workout will be most enjoyable listening to music. 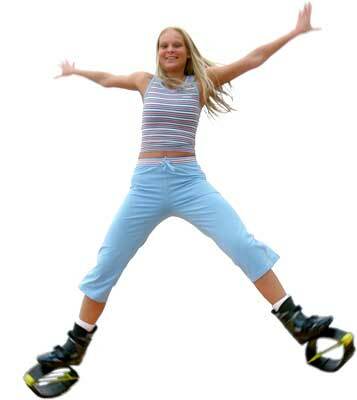 You can learn Kangoo Jumps basic steps and much more from our video "Home Fitness & Weight Loss".